The delegation poses with Kathy DeBoer of the American Volleyball Coaches Association after a session on gender and competition. 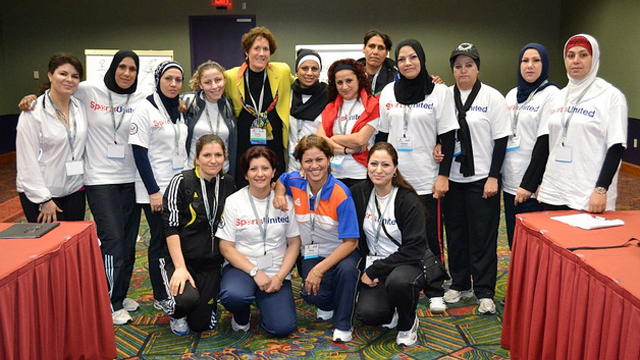 The Iraqi volleyball coaches worked with young players during a training activity in San Antonio, Texas. 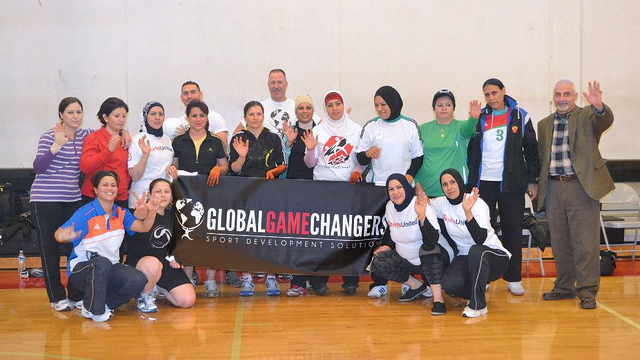 The Iraqi coaches attended a session on youth development with Global Game Changers during their time in Washington, DC. 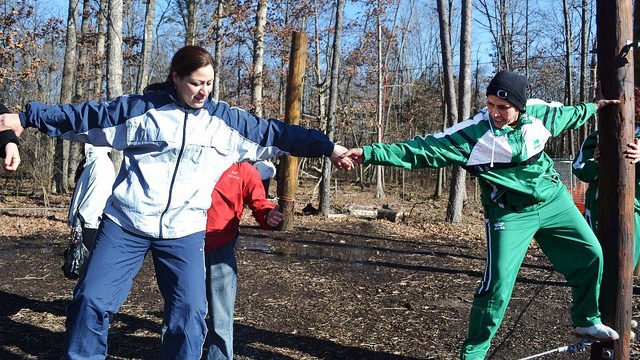 Iraqi volleyball coaches participate in a team-building exercise on George Mason University’s ropes course. The group poses with athletes from the Young Girls Leadership Academy after a clinic. 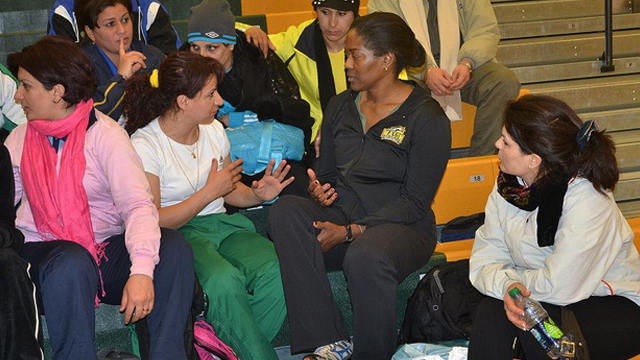 George Mason University Coach Pat Kendrick discusses game strategies with a few Iraqi volleyball coaches. 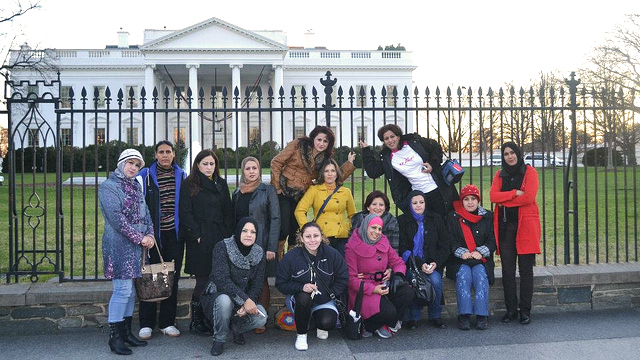 The group visits the White House in Washington, DC. The delegation participated in a coaching clinic with the Northern Virginia Volleyball Association. 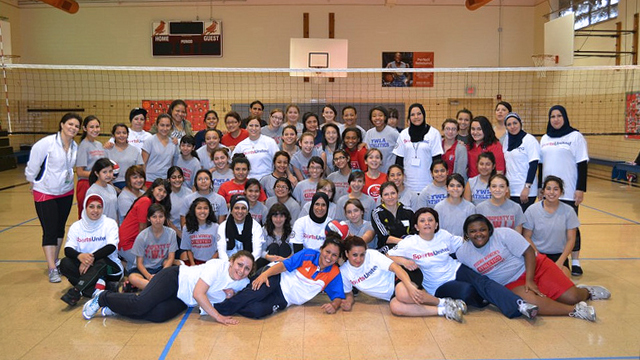 An Iraqi volleyball coach poses with girls after a day of volleyball exercises in Texas. 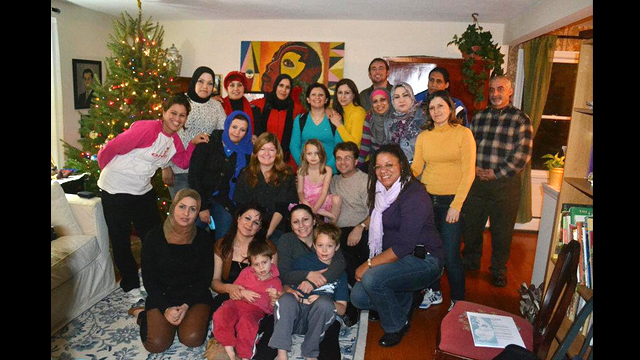 The Iraqi delegation experiences dinner in an American home. 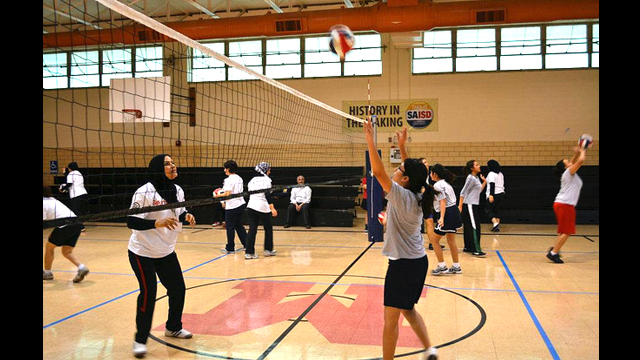 As a part of the Empowering Women Through Sports Initiative, the U.S. State Department hosted fourteen female coaches for a volleyball exchange program in Washington, D.C. and San Antonio, Texas. The Iraqi coaches participated in a fast-paced series of activities to promote cultural understanding through sports. 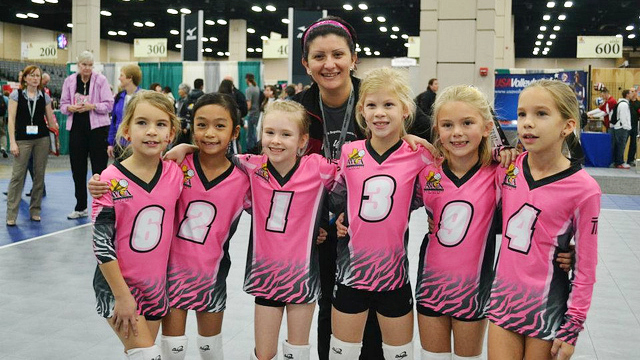 During their stay, participants visited area schools, practiced with local teams, and attended the American Volleyball Coaches Association convention in San Antonio, Texas.